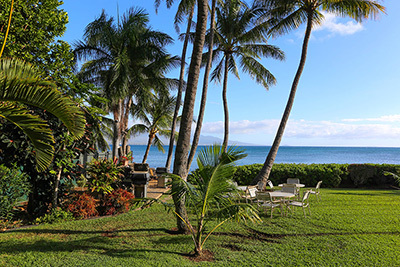 Maalaea Banyan is located in the quaint harbor village nestled between Maalaea Bay and the majestic West Maui Mountains. Enjoy the luxury of being miles from crowded resorts, yet convenient to all your most popular island activities. Just steps to the longest uninterrupted stretch of beach on Maui, it is a perfect place to watch the Hawaiian sea turtles, humpback whales (in winter months), take in the breathtaking sunrise and sunset views while boats sail in and out of the harbor. Spend a lazy, relaxing day by the pool or jump in the hot tub.